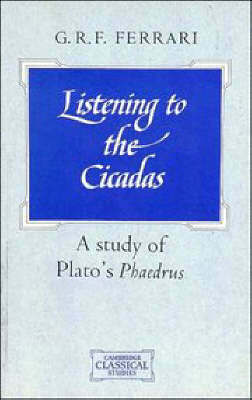 This full-length study of Plato's dialogue Phaedrus, now in paperback, is written in the belief that such concerted scrutiny of a single dialogue is an important part of the project of understanding Plato so far as possible 'from the inside' - of gaining a feel for the man's philosophy. The focus of this account is on how the resources both of persuasive myth and of formal argument, for all that Plato sets them in strong contrast, nevertheless complement and reinforce each other in his philosophy. Not only is the dialogue in its formal structure a dovetail of myth and argument, but the philosophic life that it praises is also shaped by an acknowledgement of the limitations of argument and the importance of mythical understanding. By means of this correlation of form and content Plato invites his readers, through the very act of reading, to take a first step along the path of the philosophical life.